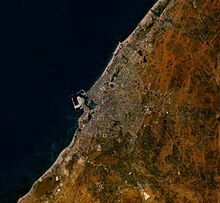 Benghazi /bɛŋˈɡɑːzi/[note 1] is the second-most populous city in Libya and the largest in Cyrenaica. 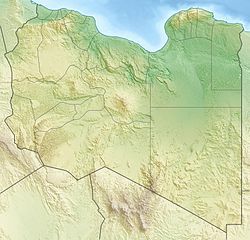 A port on the Mediterranean Sea in the State of Libya, Benghazi had joint-capital status alongside Tripoli, possibly because the King and the Senussi royal family were associated with Cyrenaica rather than Tripolitania. 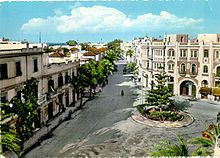 The city was also provisional capital of the National Transitional Council. Benghazi continues to hold institutions and organizations normally associated with a national capital city, such as the country's parliament, national library, and the headquarters of Libyan Airlines, the national airline, and of the National Oil Corporation. 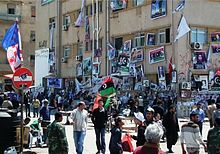 This creates a constant atmosphere of rivalry and sensitivities between Benghazi and Tripoli, and between Cyrenaica and Tripolitania. The population was 670,797 at the 2006 census. 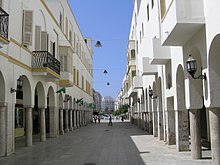 Modern Benghazi, on the Gulf of Sidra, lies a little southwest of the site of the ancient Greek city of Berenice or Berenicis or Bernici. That city was traditionally founded in 446 BC (different sources give different dates like 347 BC or 249 BC), by a brother of the king of Cyrene, but got the name Berenice only when it was refounded in the 3rd century BC under the patronage of Berenice (Berenike), the daughter of Magas, king of Cyrene, and wife of Ptolemy III Euergetes, the ruler of Egypt. The new city was later given the name Hesperides, in reference to the Hesperides, the guardians of the mythic western paradise. The name may have also referred to green oases in low-lying areas in the nearby coastal plain. Benghazi later became a Roman city and greatly prospered for 600 years. The city superseded Cyrene and Barca as the chief center of Cyrenaica after the 3rd century AD and during the Persian attacks; in 642–643 -when was conquered by the Arabs and partially destroyed- it had dwindled to an insignificant village among magnificent historic ruins. Additionally Cyrenaica was populated by more than 20,000 Italian colonists in the late 1930s, mainly around the coast of Benghazi. Benghazi population was made up of more than 35 per cent of Italians in 1939. 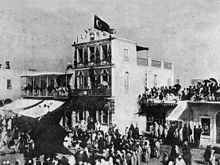 As a consequence, there was in Cyrenaica and mostly in Benghazi a huge economic development in the second half of the 1930s. Benghazi grew to be a modern city with a new airport, new railways station, new seaplane station, an enlarged port and many facilities. 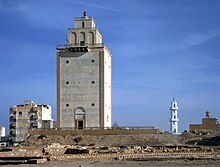 Benghazi was going to be connected in 1940 by a new railway to Tripoli, but in summer of that year war started between Italians and British and infrastructure development came to a standstill. It was taken again during Operation Crusader by the British on 24 December only to change hands again on 29 January 1942 in the Rommel Afrika Corp's push to Egypt. The largest sporting centre in Benghazi is the Medina al-Riyadhia (Sports City). The complex is situated just south of the city centre, and houses the 28 March Stadium, and the Slayman al Tharrat basketball stadium – several matches of the 2009 FIBA Africa Championship were hosted at the arena. The complex also has a sports hall for indoor sports, a tennis stadium and several small tennis courts. The facility was built in the 1950s and is therefore quite outdated; the stadia have nonetheless undergone maintenance work in recent years. Sports City was recently closed down for a complete redevelopment of the site. As of 2009[update], the 28 March Stadium was undergoing demolition work, and a new 45,000 all seater stadium was to be constructed in its place. A second smaller stadium was to be built on-site, and the entire site was to undergo redevelopment before its reopening in 2011, and its use in the 2013 African Nations Cup. The oil industry drives the city's commerce. 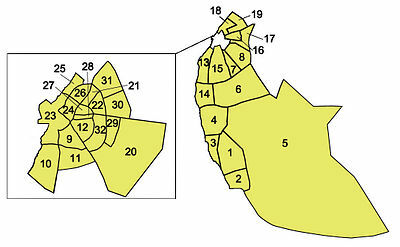 Large national companies such as the Al-Brega Oil Marketing Company and the Arabian Gulf Oil Company are important to the city's economy and employ many people. An increase in consumer prices has been coupled with an increase in the importance of the retail sector to the city's economy.[when?] In recent years, international franchises such as United Colors of Benetton, H&M and Nike have opened in Benghazi. Tourism is still in its very early stages in Libya. The industry is however growing in importance in Benghazi. 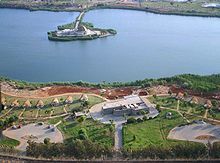 The majority of tourists that visit Eastern Libya use Benghazi as a base for which to explore the Greek ruins in Cyrene or to make desert excursions south in Kufra. The two main hotels in the city are the Tibesti Hotel and Uzu Hotel, and several other hotels have opened in recent years[when?] to cater for increased demand. Handicrafts are found in the many souks in the city, but are of little significance to the economy. 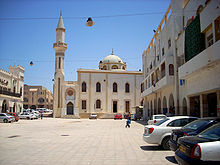 Benghazi is a transport hub in Eastern Libya and is an important city on the northern coastal road that crosses the country. An efficiently designed system of roads, bridges and underpasses cover Benghazi, however traffic jams and poorly maintained streets are not uncommon. A microbus system covers many areas of the city and has its base in Al-Funduq. National and international bus services also leave from Al-Fudnuq from the central bus station. As of 2010[update], earthworks were underway in the city for a rail network which will traverse northern Libya. 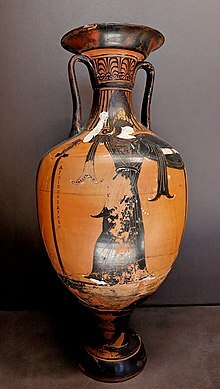 listen); Italian: Bengasi; Turkish: Bingazi; Berber languages: Bernîk; also: Bengasi, Benghasi, Banghāzī, Binghāzī, Bengazi; Ancient Greek: Βερενίκη (Berenice) and Hesperides. ^ "Wolfram-Alpha: Computational Knowledge Engine". Retrieved 30 November 2016. ^ "بنغازي: Libya". Geographical Names. Retrieved 27 February 2011. ^ "Bengasi: Libya". Geographical Names. Retrieved 27 February 2011. ^ "Benghasi: Libya". Geographical Names. Retrieved 27 February 2011. ^ "Banghāzī: Libya". Geographical Names. Retrieved 27 February 2011. ^ "Binghāzī: Libya". Geographical Names. Retrieved 27 February 2011. ^ "Bengazi: Libya". Geographical Names. Retrieved 27 February 2011. ^ "Berenice: Libya". Geographical Names. Retrieved 27 February 2011. ^ "Hesperides: Libya". Geographical Names. Retrieved 27 February 2011. ^ a b Staff (26 February 2011). "Libya's Ex-Justice Minister Forms Interim Government in Benghazi – Former Libyan Minister Says Gadhafi 'Alone' Bore Responsibility for Crimes That Occurred, Qurnya Newspaper Reports". Haaretz. Retrieved 13 September 2011. ^ "بنغازي-صانعة-التاريخ-الليبي". Al Jazeera. 20 February 2011. ^ "FB and Twitter Got Us from Tahrir Square to Libya". Benghazi After Gaddafi. ^ a b c "Japan Nuclear Crisis". BBC News. 26 March 2011. ^ Ham, Anthony (2002). Libya. Lonely Planet (Melbourne, Victoria, Australia; London, England, United Kingdom). p. 156. ISBN 978-0-86442-699-4. 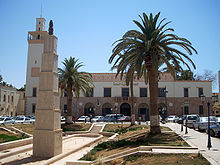 ^ "Libya: Benghazi; A Beautiful Libyan City". Ourworld. Archived from the original on 24 February 2009. ^ Bjunior (13 September 2018). "Dadfeatured: ITALIAN BENGHAZI". ^ McDonnell, Patrick J. (21 May 2011). "Political Football, Benghazi Style – Soccer Club, Fans Found You Don't Mess with Gadhafi". Winnipeg Free Press. Retrieved 13 September 2011. ^ Lubin, Gus (18 July 2011). "An Amazing Story Of Resistance From Inside Libya's Soccer League". Business Insider. ^ Johnson, Andrew; Mesure, Susie (20 February 2011). "Gaddafi: What Now for Libya's Dictator, and Where Does Britain Stand? – As rebellion Spreads, Tripoli's Hardline Regime Cracks Down, Killing at Least 100 Protesters and Leaving 1,000 Injured". The Independent. Retrieved 13 September 2011. ^ Landay, Janathan S.; Strobel, Warren P.; Ibrahim, Arwa (18 February 2011). "Violent Repression of Protests Rocks Libya, Bahrain, Yemen". McClatchy DC. Archived from the original on 11 November 2016. Retrieved 19 February 2011. ^ Tran, Mark (17 February 2011). "Bahrain in Crisis and Middle East Protests – Live Blog". The Guardian. Retrieved 19 February 2011. ^ "The Liberated East: Building a New Libya". The Economist. 24 February 2011. Archived from the original on 27 February 2011. Retrieved 26 February 2011. ^ Meo, Nick (6 March 2011). "'Huda the Executioner' – Libya's Devil in Female Form – How Pulling on a Hanging Man's Legs Made Huda Ben Amer One of Colonel Gaddafi's Most Trusted Elite". The Daily Telegraph. Retrieved 13 September 2011. ^ Staff (24 February 2011). "First Edition of the Benghazi Newspaper" Archived 1 March 2011 at the Wayback Machine. feb17.info. Retrieved 13 September 2011. ^ Staff (19 March 2011). "French Jets Attack Gaddafi Targets – Warplanes Destroy Four Tanks Used by Libyan Leader's Army as Military Action To Enforce UN-Ordered No-Fly Zone Begins". Al Jazeera English. Retrieved 13 September 2011. ^ a b Staff (1 June 2011). "Libya: Benghazi Blast Rocks Hotel Used by Rebels – Jalal il Gallal, National Transitional Council: 'It Was a Cowardly Act'". BBC News. Retrieved 13 September 2011. ^ Paul Shemm & Maggie Michael (27 October 2012). "Libyan witnesses recount organized Benghazi attack". Associated Press. Archived from the original on 30 October 2012. Retrieved 27 October 2012. ^ "Haftar's forces declare victory in battle for Benghazi". Al Jazeera. Retrieved 5 July 2017. 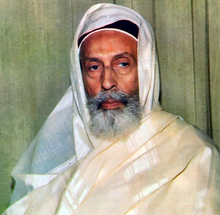 ^ "Asharq Al-Awsat Tours Extremist Dens in Libya: The Story of Sidi Khreibish". Asharq al-Awsat. ^ [dead link] "Archived copy". Archived from the original on 20 December 2008. Retrieved 2009-05-25. CS1 maint: Archived copy as title (link). ^ Athanasiadis, Iason (29 May 2009). "Future shock". The National. Archived from the original on 11 November 2016. Retrieved 6 September 2010. Athanasiadis, Iason (29 May 2009). "Future Shock" Archived 30 May 2009 at the Wayback Machine. The National. Retrieved 6 September 2010. ^ Shefler, Gil (13 August 2010). "Haddad Story Highlights Efforts To Recover Libyan Assets". The Jerusalem Post. Retrieved 13 September 2011. ^ Deming, Mark. "The Last Jews of Libya (2007)". The New York Times. Rovi Corporation. Retrieved 13 September 2011. 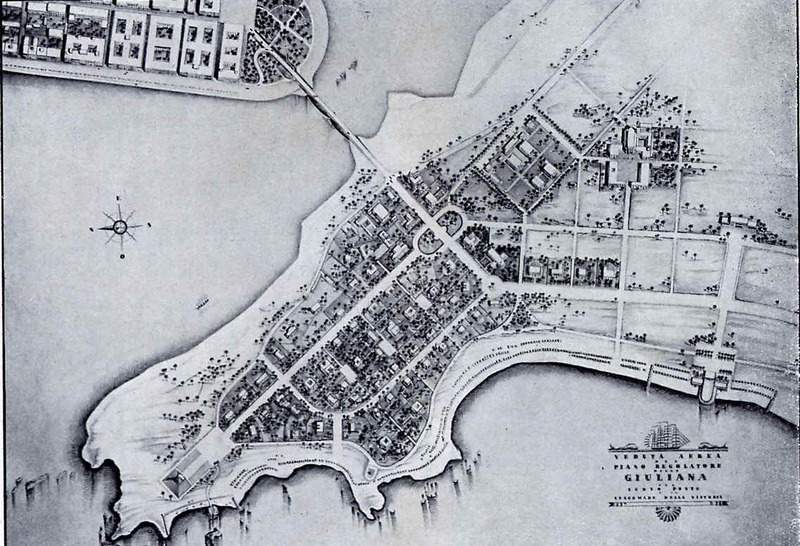 ^ "Italian Urban Plan of Benghazi" Archived 22 July 2011 at the Wayback Machine. ^ McLaren, Brian L. (2006). Architecture and Tourism in Italian Colonial Libya – An Ambivalent Modernism. University of Washington Press (Seattle, Washington). p. 158. ISBN 978-0-295-98542-8. ^ "Afrobasket 2009 – Libya" Archived 13 August 2009 at the Wayback Machine. FIBA Afrique. Retrieved 26 February 2009. ^ Temehu.com. "Libyan Food and the main dishes & meals in Libya". www.temehu.com. Retrieved 14 November 2016. ^ Marshall Cavendish Corporation, "World and Its Peoples, North Africa". 2006. p. 1,227. ^ Sarrar, Saleh: Libya to Revive Plan for Benghazi Free-Trade Area, Official Says. bloomberg.com, 11 April 2012. ^ Bodalal, Zuhir; Bendardaf, Riyad; Ambarek, Mohammed (2012). "A study of a decade of road traffic accidents in Benghazi-Libya: 2001 to 2010". PLOS ONE. Retrieved 15 February 2015. ^ [dead link] Al-Ghaweel, Ibrahim; Mursi, Saleh A.; Jack, Joel P.; Joel, Irene (2009). "Factors Affecting Road Traffic Accidents In Benghazi, Libya"[permanent dead link]. Saudi Society of Family and Community Medicine Journal. Retrieved 4 September 2010. ^ Bodalal, Zuhir; Alzunni, S (2013). "The trends of neurological trauma in a decade of road traffic accidents: 2001 to 2010". PanArab Journal of Neurosurgery. Retrieved 15 February 2015. ^ Bodalal, Zuhir; Bendardaf, Riyad; Ambarek, Mohammed; Nagelkerke, Nico (2015). "Impact of the 2011 Libyan conflict on road traffic injuries in Benghazi, Libya". Libyan Journal of Medicine. Retrieved 15 February 2015.